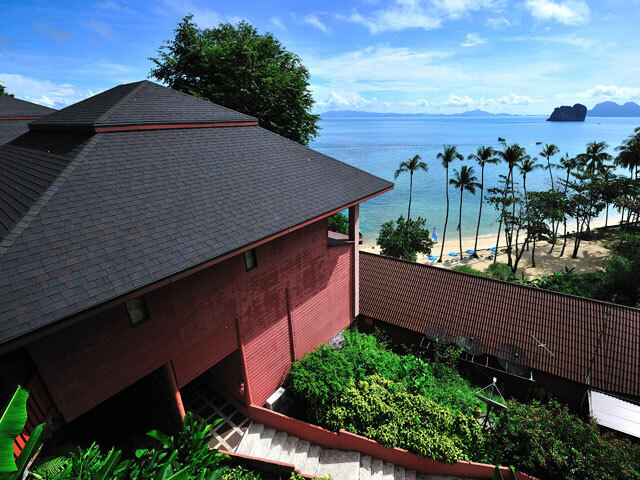 Koh Ngai Cliff Beach Resort, a luxury resort in Andaman Sea. 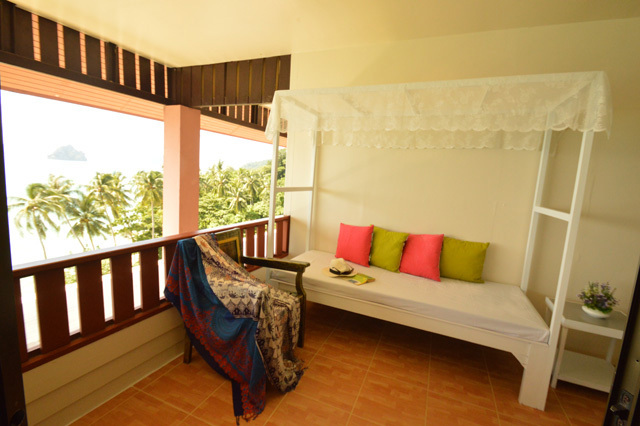 All rooms offer the comfort of privacy including own balcony overlooking view of the ocean. *Click Go To [ Rates ] Now !! Each Superior Sea View has a total living area of 36 square meters with a partial sea view and surrounding lush tropical garden. 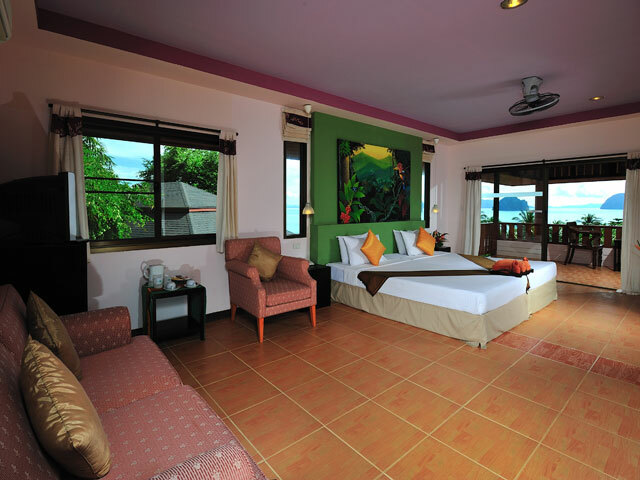 All rooms are equipped with air-conditioning, ceiling fan and twin beds. Deluxe Sea View offer a great living space with 48 square meters including a balcony with a stunning sea view, partial view of beach and tropical forest. 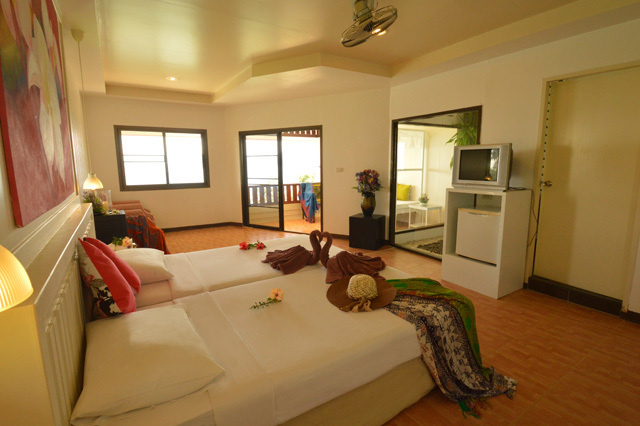 All are air-conditioned equipped with twin beds, also has little area of garden and lovely cascade. The bathroom opens onto the bedroom equipped with a basin and rain-shower. Premier Sea View offer a great living space with 48 square meters including a balcony with a stunning sea view, partial view of beach and tropical forest. All are air-conditioned equipped with twin beds, also has little area of garden and lovely cascade. The bathroom opens onto the bedroom equipped with a basin and rain-shower. 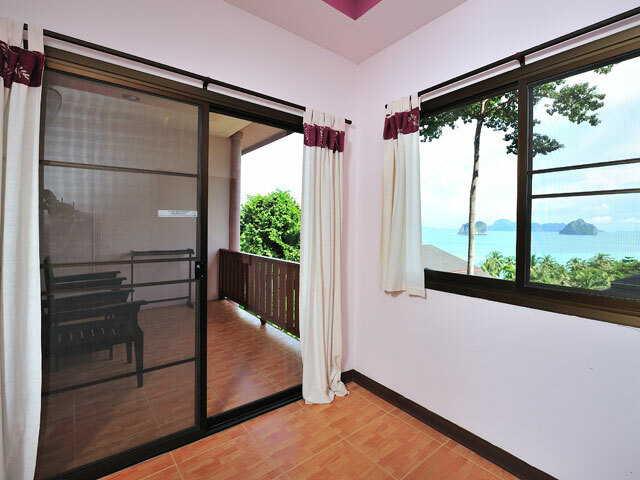 The Ocean View Suite provide great living area of 60 square meters including the large private balcony spectacular the impressive panorama of lines of Mah Island, Chuak Island, Waen Island and Mook Island lying one after another, magnificent sunrise and beach of Ngai island surrounding lush tropical greenery. 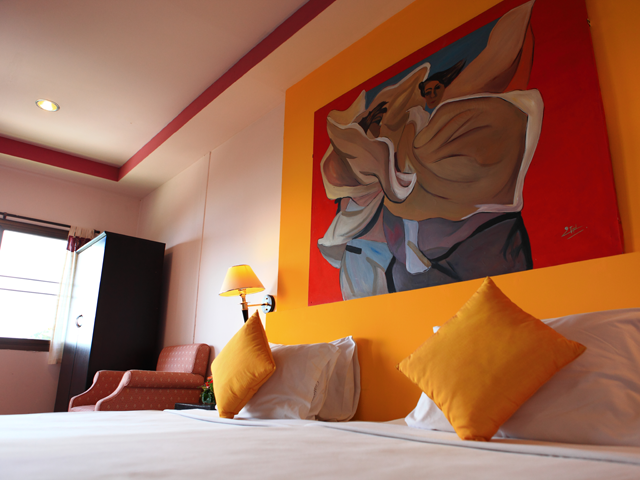 All rooms are equipped with air-conditioning, ceiling fan, mini-bar, twin beds and living space furnished with a sofa. The adjacent bathroom includes a basin, walk-in shower equipped with rain-shower and little area of tropical garden. ♦ Breakfast is included for 2 persons, and the third person sharing. ♦ Child policy: child age 5-12 years --> Compulsory charged for ABF 200 THB/day ( without bed and guest amenities ). 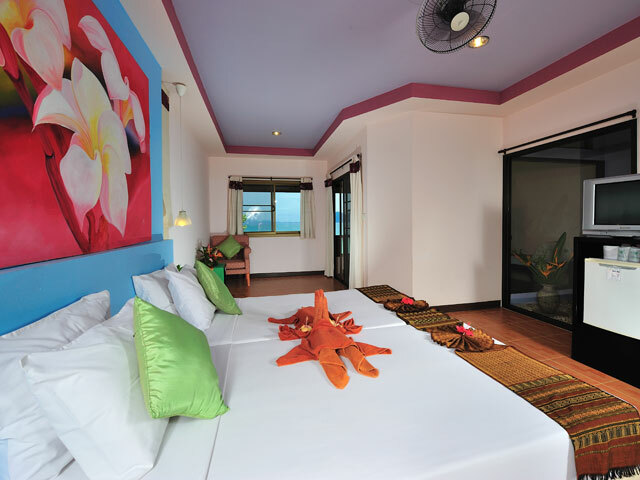 ♦ Rent for Baby cost 100 THB/bed/night. 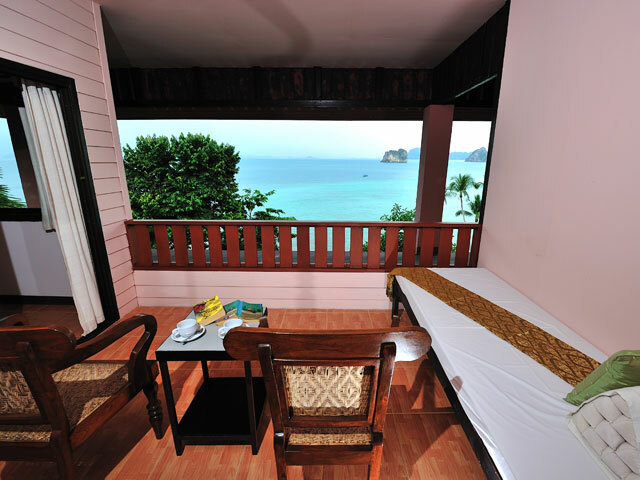 ♦ All above room rates are included service charge and government tax ( VAT ). ♦ Electricity & air-conditioner in the unit, will be operated all time. ♦ Green Season Period : May 01 - October 31.